I wanted to pop in real quick to let you all know that I am still here! I've been a little out of the blog loop for a few weeks. 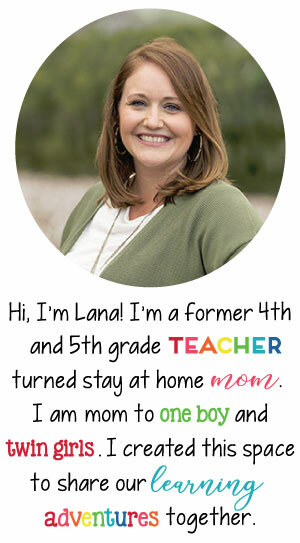 We've taken a break from our "school" stuff each day - hey, that's the beauty of having half of the year off and being a SAHM! ;) It's like an early summer, if you will. We haven't been totally lazy. We've played a lot outside since our weather is beginning to warm up. 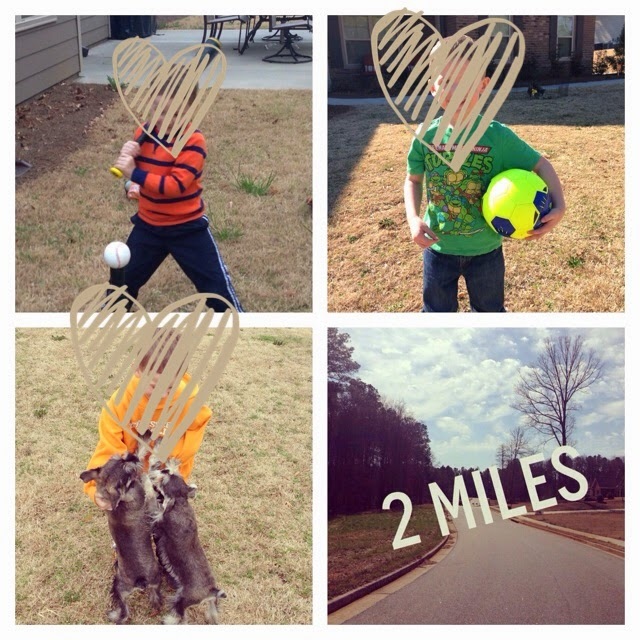 Baseball, soccer, puppies, and I've been exercising! 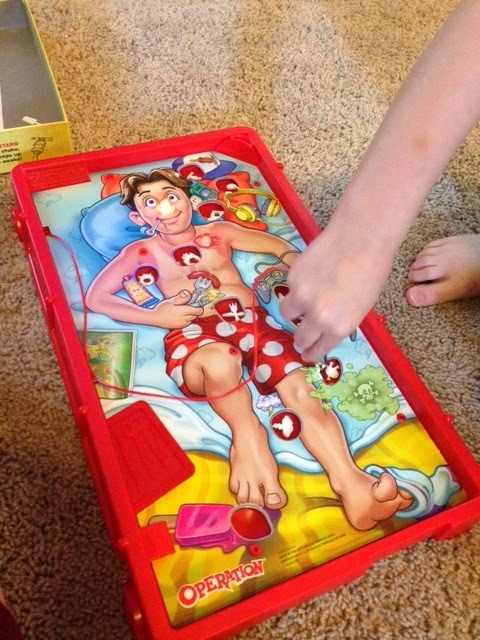 We've played games like Operation. I am hoping the Easter bunny brings another fun board game for us to play. 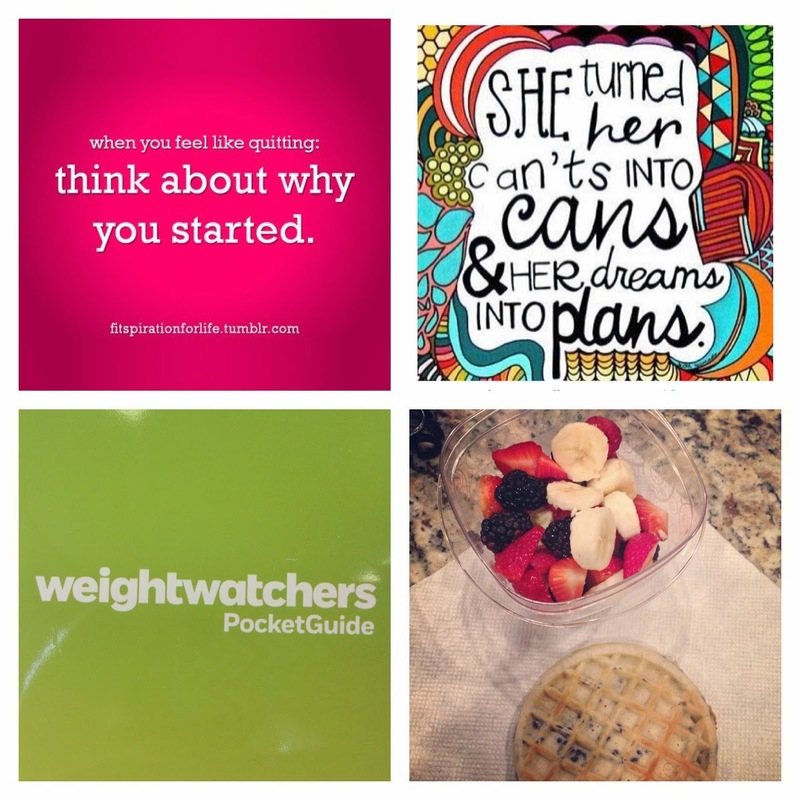 We've (or I've) focused on my health, fitness, and weight loss. I'm documenting it over at soundsofsummer1 on Instagram if you would like to follow. Losing weight & maintaining weight loss has always been a struggle of mine. I really enjoy getting out in nature and just running, but I went "too hard, too fast" and have awful shin splints. It's been 3 weeks and they still hurt. Blah. So I've been working out with the elliptical instead of running. 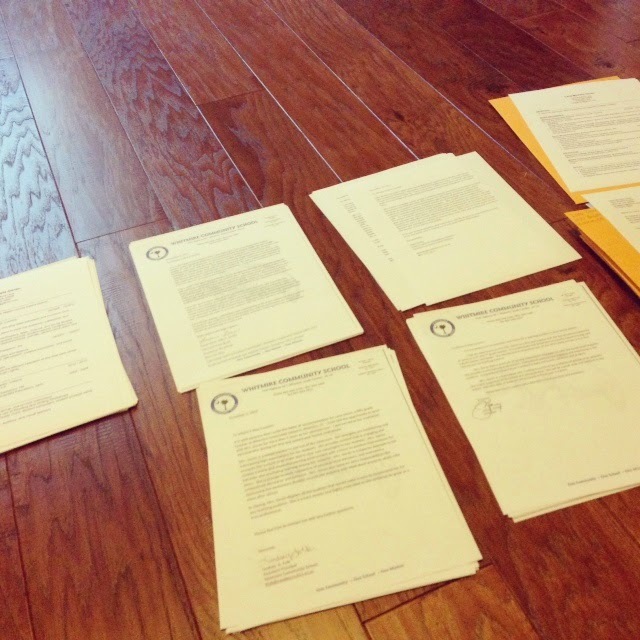 I've began working on my resume, my cover letter, and my applications to teach this fall! Eeeekkkkk. I'll be mailing them out tomorrow. We've just been enjoying life, friends! Be back with school stuff soon! Four days late, but I am finally linking up for Farley's Currently series for March! Most of mine are self explanatory so I won't go into too many details, except to say that I am FINALLY back on track with my exercise and weight loss. 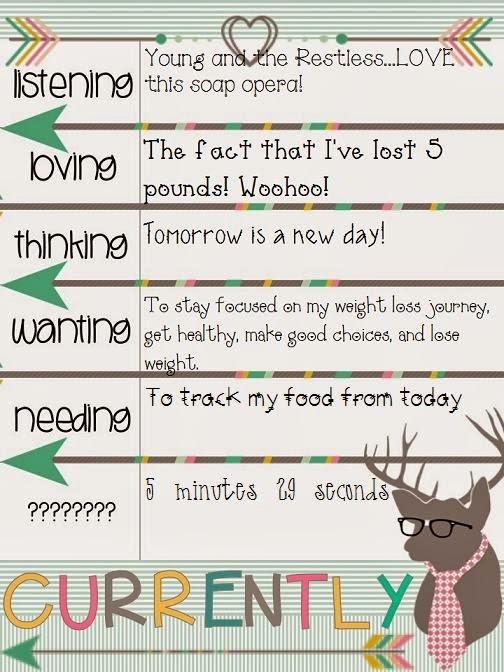 I am not officially back on Weight Watchers, but I am using my materials from the last time I was on it (thankfully it hasn't changed) and I have lost 5 pounds! Woohoo! LOTS more to go, but it's a journey that I'll continue. I've also been running two miles a few times a week. I have a 5K coming up at the end of March so that was good motivation, too! Last week we finished our letter Bb for bears! I found these letter Bb puzzles online. 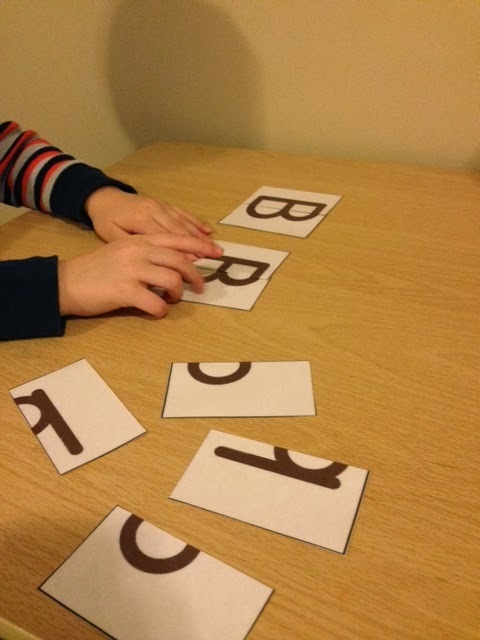 They were good to see how the letter Bb is formed. I also really liked this bear coloring page. 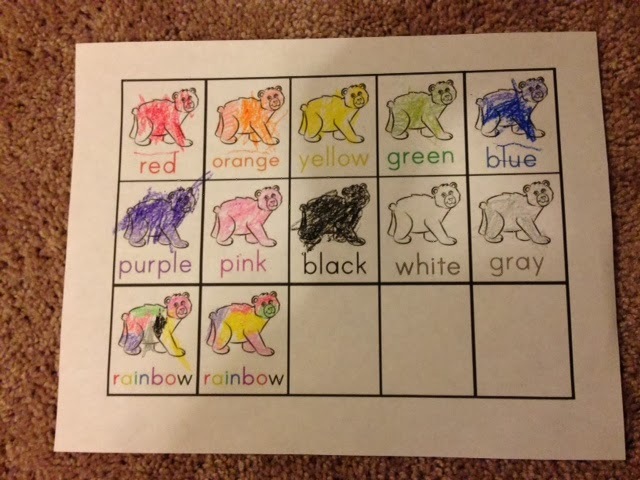 For a non-reader, it was easy to see what color the bear should be - except for white and grey. Of course, the word "white" couldn't be in the color white since you wouldn't be able to see it. That confused E - the color it was written in was gray so naturally, he thought that two bears were supposed to be gray. 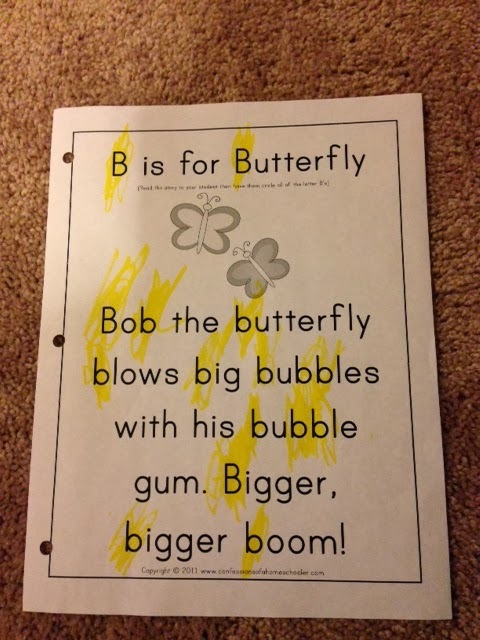 Even though this printable from Confessions of a Homeschooler uses butterfly for the letter Bb, we still used it to find letter Bb's. 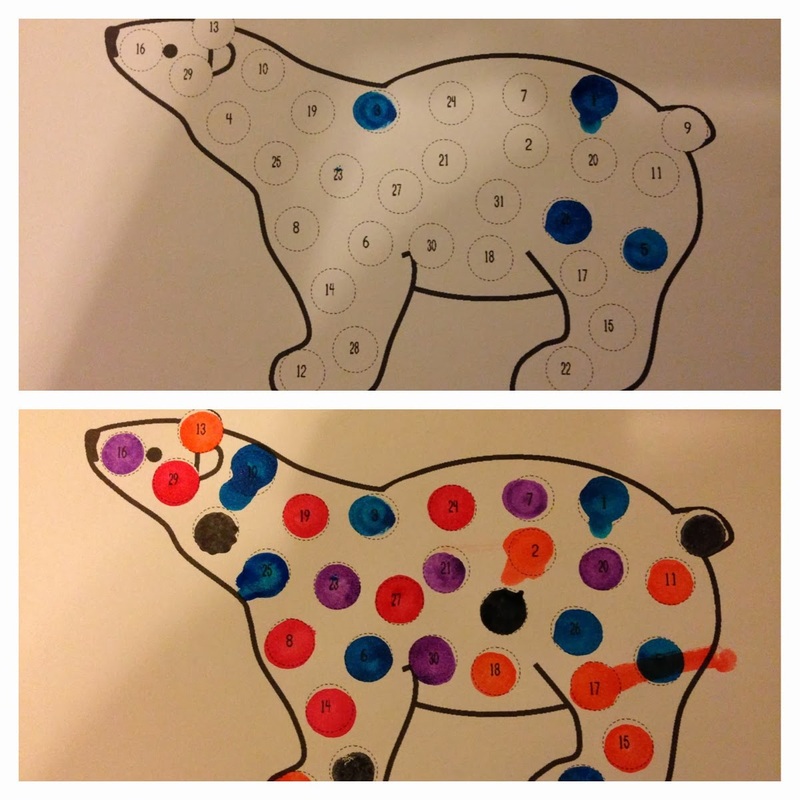 We also worked on some basic bear addition! Note to self - work on writing numbers ... I had to help him with all of these. Our last activity was too difficult so we made our own rules! At first, I called out #s for E to put a dot on. 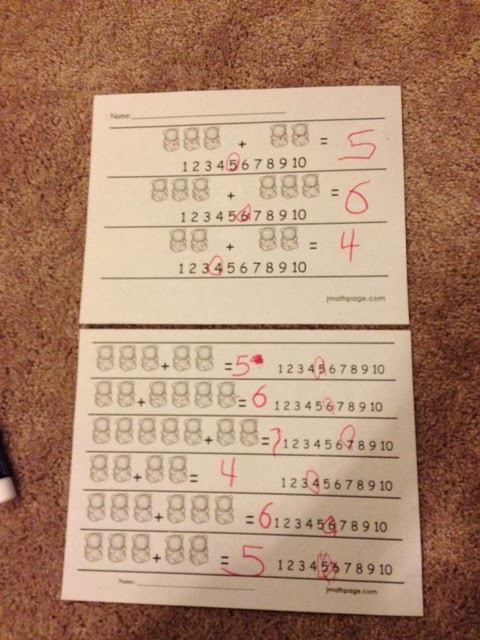 He got frustrated easily because there were lots of numbers he didn't know (20+). So we took turns calling out #s that he knew and then just put dots on the rest!